BAGUIO CITY – The City Council approved on first reading a proposed ordinance granting free dialysis to chronic kidney patients in the city to help in easing the burden of the families and relatives of the said patients. 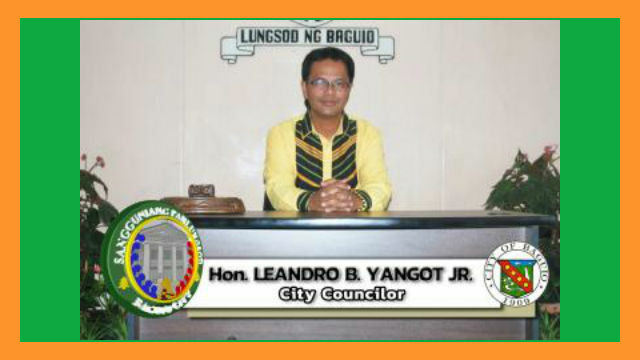 The ordinance authored by Councilor Leandro B. Yangot, Jr. proposed that the amount of P10 million or so much thereof shall be incorporated in the annual budget of the local government for fiscal year 2018 for the realization of the said noble program. Under the proposed ordinance, all bonafide residents of the city’s 128 barangays irregardless of age will be qualified to avail of the free dialysis treatment being provided by government medical institutions located in the different parts of the city. Section 15, Article 2 of the 1987 Constitution provides that the State shall protect and promote the right to health of the people and instill health consciousness among them. Likewise, Section 11, Article 8 states that the State shall adopt an integrated and comprehensive approach to help development which shall endavor to make essential goods, health and other social services available to all the people at affordable cost and that there shall be priority for the needs of the under privileged, sick, elderly, disabled, women and children. Further, the State shall endeavour to provide free medical care to paupers among other marginalized sectors of society. Yangot claimed that many of the city residents, young and old, are now undergoing dialysis in the different public and private health institutions in the different parts of the city and that such treatment is not only painful to the pockets of many dialysis patients and their families. He added that may dialysis [patients and the members of their families go to the extent of selling whatever properties they have to be able to meet the regular weekly dialysis treatment. Yangot also expressed alarm over the rapid increase in the number of kidney patients undergoing dialysis treatment in the various private and public health institutions not only in the city but also in the different parts of the country, saying that it is high time for the people to learn from the sad experiences of the said patients and start improving their living condition by embracing healthy lifestyle to spare them from contracting the dreaded illness. Dialysis patients at the Baguio General Hospital and Medical Center organized a group which they called as the BG\H Dialysis Patients and Partners Association to strengthen their bod and try to leave the difficulties of their medication behind and gain added support for their ongiong treatment. The group continues to grow in membership because of the increasing number of patients undergoing the said treatment. For the past several years, the government through the department of health, in coordination with the existing regional and provincial hospitals all over the country, were able to establish dialysis centers by providing dialysis treatment to help in Lessing the congestions in hospitals in urban centers.